The SFMTA is proposing enhancing and extending its regulation of private commuter shuttles. You can read the newly released proposal (Commuter Shuttle Program Policy – Oct 16 2015). Monday, October 26, 2015 5:30-7:30 p.m. The Affordable Housing Bonus Program, which includes density bonuses and height increases for projects that meet affordability requirements, is scheduled for review by the SF Planning Commission on Thursday, November 5. Attend this Open House to get more information on the proposal before it goes up for review. 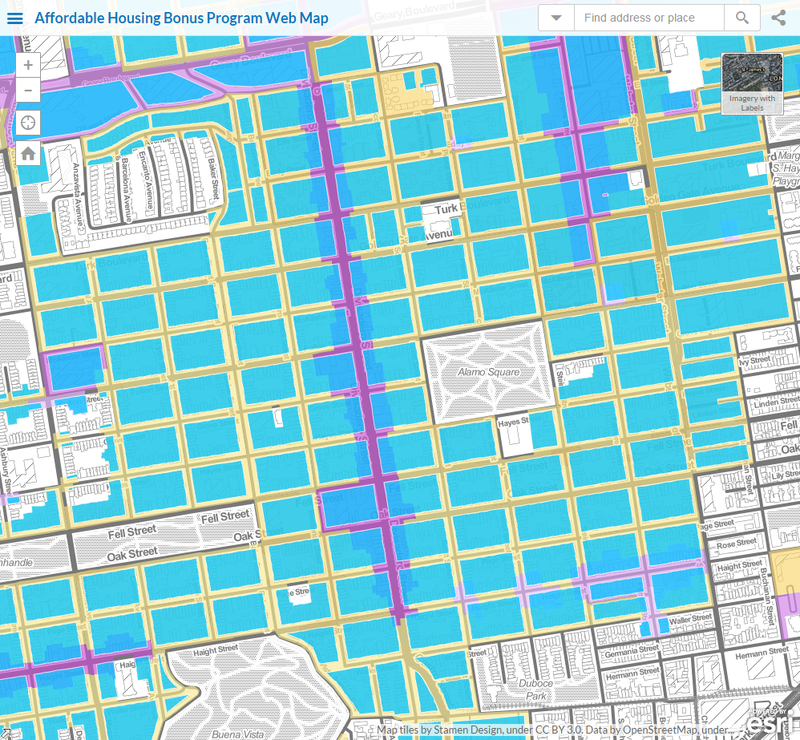 Detail of Alamo Square area and vicinity of blocks eligible for program as currently proposed. Only white areas/blocks/parcels are not eligible. Saturday, Oct. 24, 1-3 p.m.
Get a first look at the Local Affordable Housing Bonus program which builds on the state’s Density Bonus program for San Francisco. 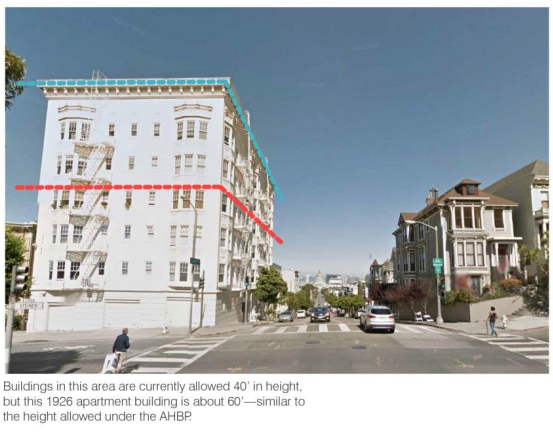 SF is proposing developments to eliminate density requirements and to allow 2-3 additional floors in height in exchange for including more affordable units. Pre-schedule 15-minute appointments regarding a project. 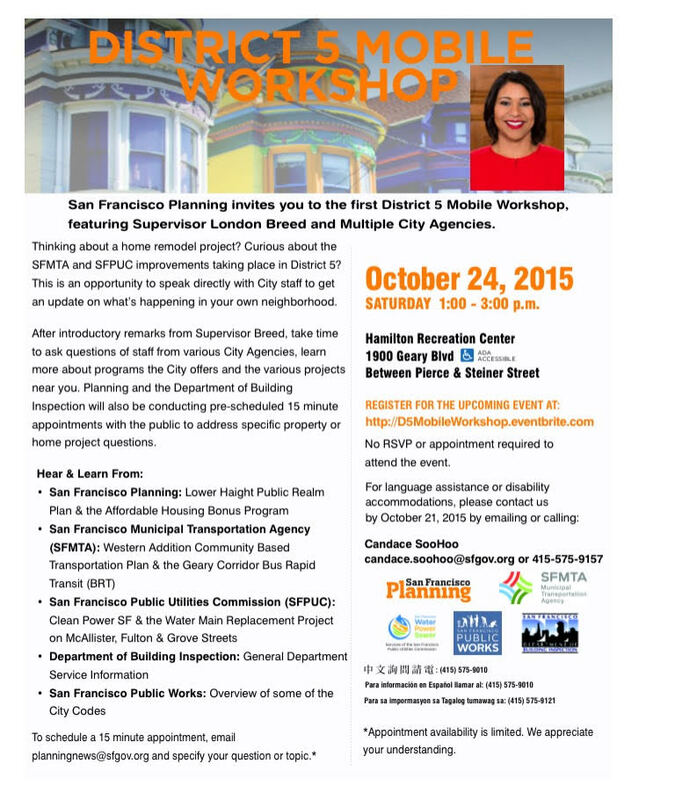 Email planningnews@sfgov.org and specify your question or topic. No RSVP or appointment required to attend the event. The Alamo Square Neighborhood Association Board of Directors has voted to support Prop F on the November 2015 ballot, joining the list of neighborhood organizations in support of this legislation. 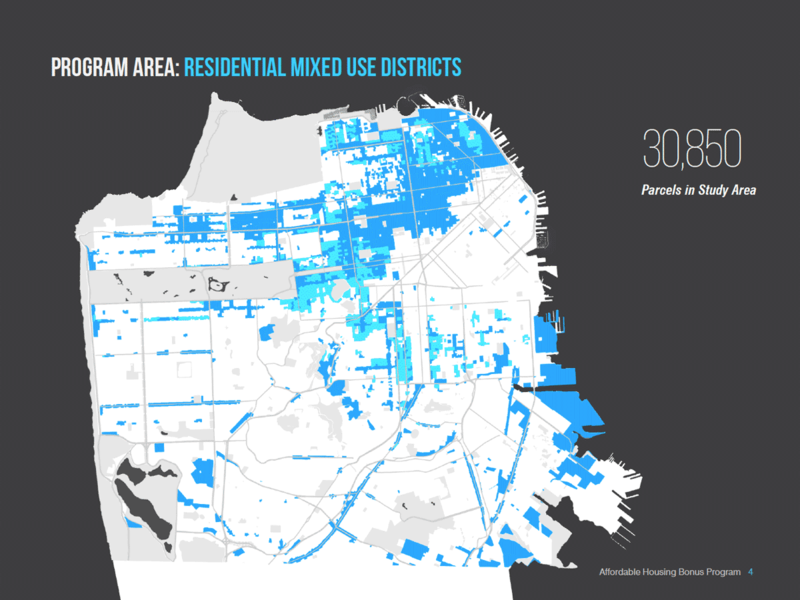 ASNA joins the Haight Ashbury Neighborhood Council, Hayes Valley Neighborhood Association, the Coalition of San Francisco Neighborhoods, and others in support of Prop F.
Read more about the efforts of Yes on F – Share Better SF.